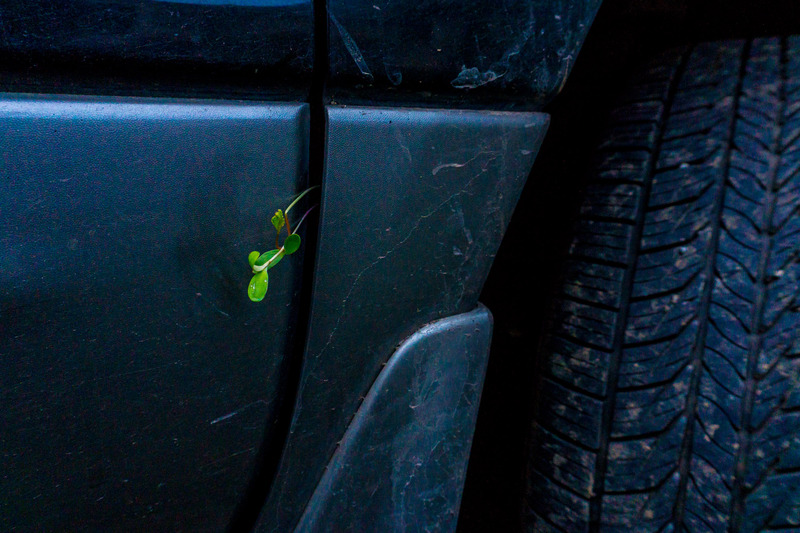 The Pacific Northwest is so wet and fertile (heheh, sounds naughty) that we literally have plants growing out of the nooks and crannies of our car. This is actually the second instance of plant life discovered on the Blerch-mobile and possibly really the third if you count all the moss that grows on it during the damp spring. We should probably clean our car a little more often, but with all the rain and our muddy driveway it just doesn’t make sense to spend time and money on keeping it more tidy.